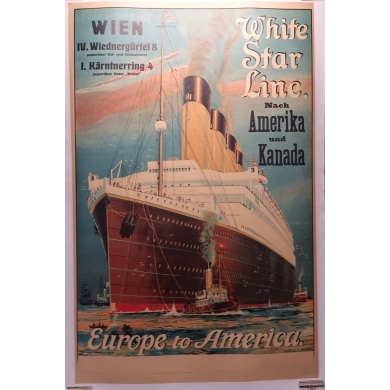 Cruises There are 13 products. 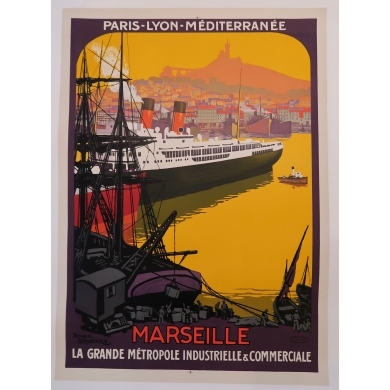 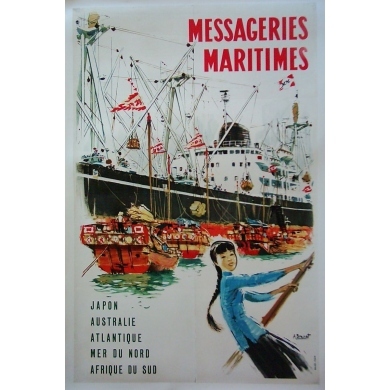 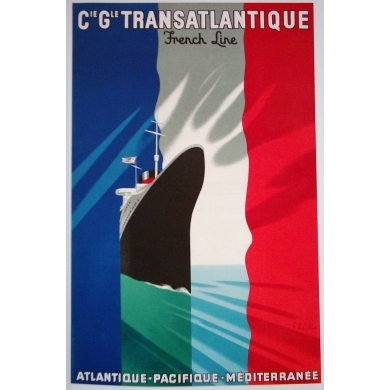 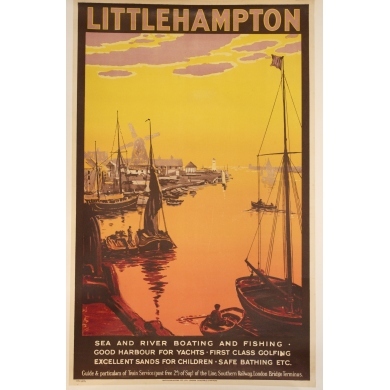 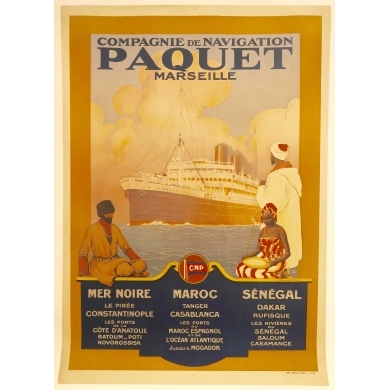 Original vintage poster of 1927 for PAQUET Marseille Navigation Company Printed by Chaix in Paris. 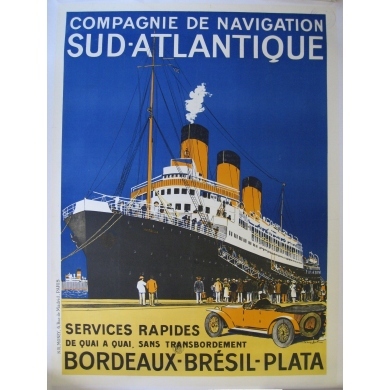 Condition: A + Linen backed Size: 29.5 x 41.7 inches Price upon request. 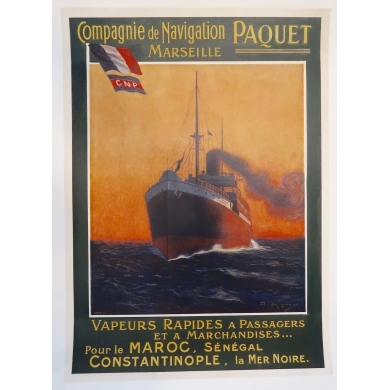 Original Sadag poster made for the Compagnie de Navigation PAQUET Marseille CNP. 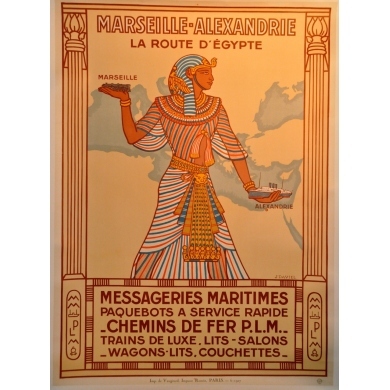 Circa 1920 Condition: A + Stitched on linen Size: 18.9 x 25.9 inches Price upon request. 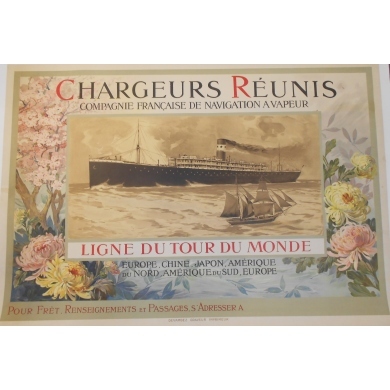 Original Roger Broders poster made after the Colonial Exhibition in Marseille (April-November 1922) Condition A + Stitched on linen Size: 79 x 108 cm Price upon request We are at your disposal by e-mail and telephone to inform you.